We are so sorry we have been neglecting our blog! I promise we will be better. Also, we are thrilled to be the daily deal on GROUPON.com. Purchase your $50 for $100 GROUPON today or tomorrow! We are selling lots of groupons and we hope to see all of you savvy-money-saving-fashionistas in Leal soon! Last but certainly not least, we are feeling fall at Leal! We have received Malene Birger (Kate Middleton’s new fav! ), Sachin & Babi, Nicole Miller, White + Warren, Elaine Turner handbags, Dennis Merotto, Nicole Miller and Shin Choi! And coming this week: Isda, Haute Hippie and Ulla Johnson! 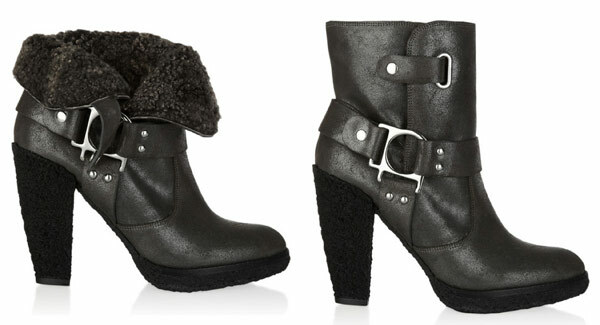 We have also received an adorable pair of fold-over ankle booties from Belle by Sigerson Morrison! Love. Later this week, look for a post on our picks for the top trends of Fall 2011! On a personal note, to those of you who asked about me while I was out for my wedding/honeymoon… Thank You! and for all of the well wishes and sweet words upon my return… Thank You! I feel very lucky to have met so many amazing women over the last 5 years. Truly.